Lisa, a mother of three, knows first hand the values, rewards and necessities of finding the right home. 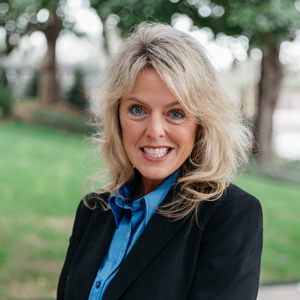 Being a life-long resident of the metroplex, and working with new home construction as well as pre-owned homes, Lisa can find the right area and home to suit the needs and desires of each individual client. She believes in the ultimate value of a personal relationship, knowing that as trust grows stronger between client and realtor, as does the ease of finding the right house for a client, or selling a client's current house so that they too may find the house of their dreams. Lisa has been, and will continue to be, with her clients through every step of the home buying and selling process, from open houses, to closing days. Lisa looks forward to the opportunity to sell or help you find not just a house but the perfect home for you. "Lisa recently sold my house in Fort Worth, Texas. She worked tireless, marketing my house in numerous venues. Lisa is very personable, professional, & easy to work with. She made it apparent that selling my house was a priority. Lisa stayed in regular contact with me keeping me updated. She did a great job negotiating with the buyer's agent for me. All paperwork was handled in timely manner. I couldn't have asked for more from Lisa. I highly recommend her as an agent who will aggressively get out there & work for you." "Mrs. Purselley did a great job getting the right price for my house and finding the house of my dreams at the right price! I can't thank her enough for all her hard work and dedication she provides to her clients. Thank you thank you thank you!!" "We met Lisa while she was holding open an open house in my neighborhood and felt she was able to handle the traffic which was flowing steadily and still made everyone feel that she was there for them. Lisa was able to answer our questions about the area and we felt positive about her professionalism and knowledge so decided to list with her and she did the same courtesy to us and we will always refer who to our friends and family. Thank you Lisa, job well done!" "I have hired Lisa Purselley twice now, once to sell a home for me and once to find and help me buy a home. I am currently living in the home she found and helped me buy. My family and I are so happy!!! She really listens when you tell her what you are looking for in a home and doesn’t waist your time showing you homes that are not in the scope of what you are looking for. She makes herself very available. Even when she has multiple clients to help, she makes you feel like you are important. She is extremely professional and very knowledgeable. She follows up on every aspect of the deal and is honest till the end. I would very much refer her and Lisa will remain my lifelong realtor!"